As a parent, I think I often take what my children read for granted. I have a lot of books that were from college, my classroom, purchases, and gifts over the years. I never really noticed that the boys had not read many of the classic stories that generations have enjoyed. 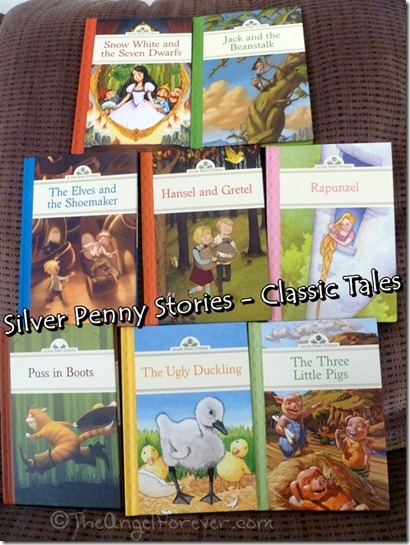 When Sterling Children’s Books contacted me to review their new Silver Penny Stories, I thought it would be a great opportunity for our family. The boys immediately took the books and began reading them together. They had read other more cartoon like retellings, along with animated television versions of many of these stories, but some were new to them. The eight books above were released in October and six more will be coming out in April 2013. 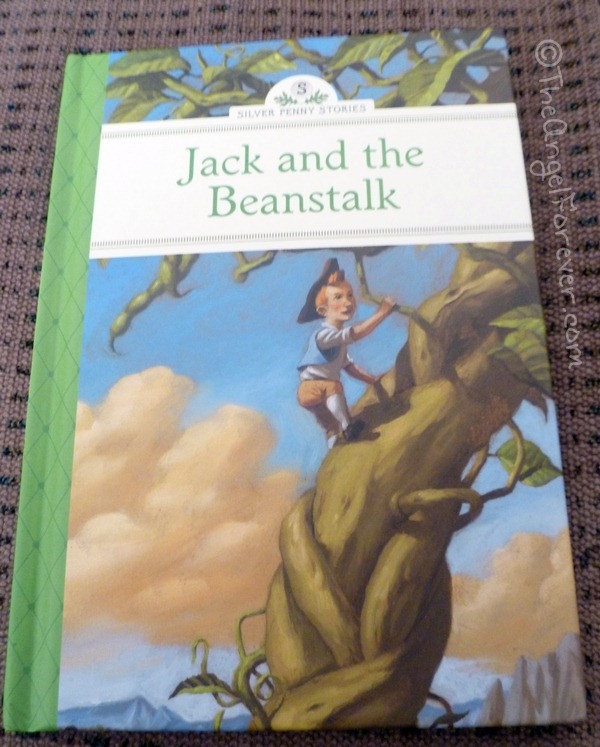 As part of the blog tour, we were asked to review Jack and the Beanstalk. The boys are familiar with the Mickey Mouse Clubhouse version of this story. NHL immediately noticed that the story was the same, but it was not as childish. 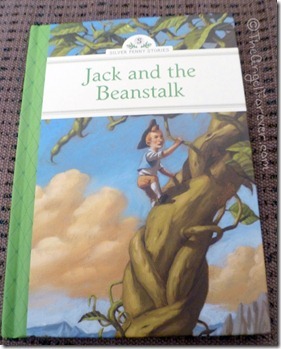 JSL enjoyed hearing his brother read about how Jack helped his mother and the beanstalk saved the day. What I really enjoyed was seeing how the boys talked about the book. They carefully explored the illustrations. When I asked them how Jack felt with the artwork, JSL quickly could explain it based on beautifully illustrated pages from Quarello. The boys also helped me to come up with some questions to ask Mr. Quarello. The Italian illustrator has worked on nearly 30 children’s books. He also has work that has been in exhibits around the world. Right now we are waiting to hear back from Mr. Quarello. Once those questions and answers are back, I will update this post with those items. The books also helped us to have a chat about different variations of stories. 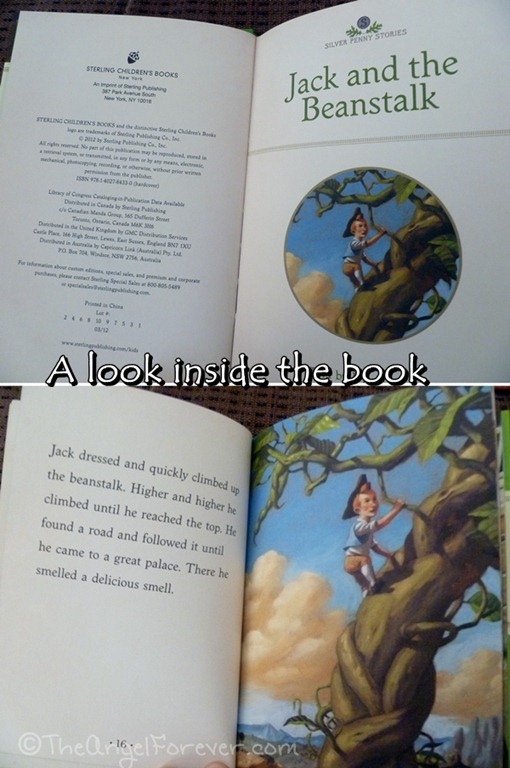 We could compare the one they saw on television and other books about Jack and his beanstalk. The kids agreed that it is fun to compare and contrast the books to see how the author and illustrators see these classic stories. This would be a great activity in a homeschool setting or within a classroom. Imagine what you could do with Venn Diagrams and beyond. 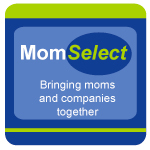 It is time for another Rafflecopter giveaway for one lucky reader thanks to Sterling Publisher. Please be sure to see the rules listed. To enter, please follow the rules above within the comment section and Rafflecopter. 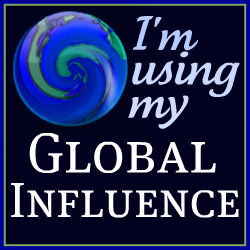 Giveaway begins October 14, 2012 and ends October 27, 2012. You do not have to be a blogger to enter, but must leave a valid e-mail address for me to contact you for mailing address once the giveaway is over. You will have 48 hours to claim the prize. If there is no response, another winner will be selected. Open to US and Canada residents only. Disclosure: I received the eight books Silver Penny Stories Series complimentary of Sterling Children’s Books in order to facilitate this review. The giveaway is sponsored by Sterling who will fulfill the prize to the giveaway winner. I’m excited about Rapunzel because it was my favorite fairy tale as a girl. I’m excited about the elves and the shoemaker, because i really used to enjoy my parents reading that story to me when i was a child. The Ugly Duckling….my daughter hasn’t heard that story yet! !